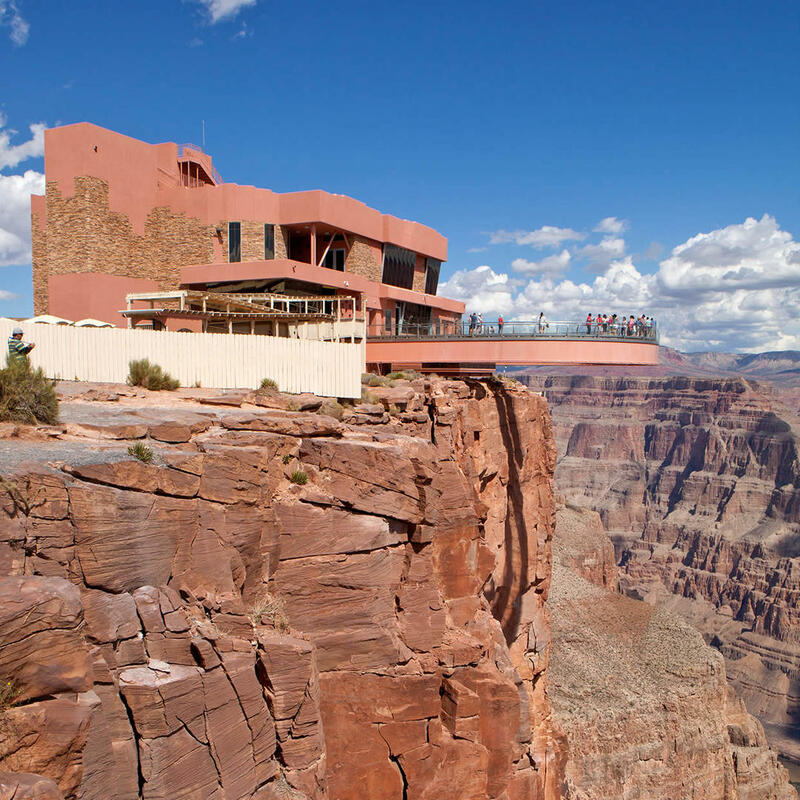 This horseshoe-shaped cantilever glass walkway bridge is on the Grand Canyon West area of the canyon. 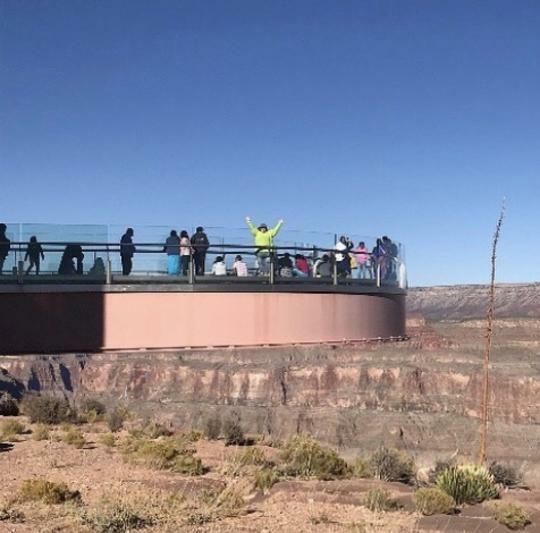 Unveiled in March of 2007, the skywalk was commissioned and is owned by the Hualapai Indian Tribe at a cost of $30 million. Other expansions are planned for the future which include restaurants, a golf course, casino, and a cable car to ferry visitors from the canyon to the Colorado River. Note that personal cameras are not allowed but must be stored in lockers before entering the Skywalk. Photos must be purchased there which has given the Skywalk a tourist trap reputation. Glass bottom was a little more intimidating than I expected. But it was amazing.